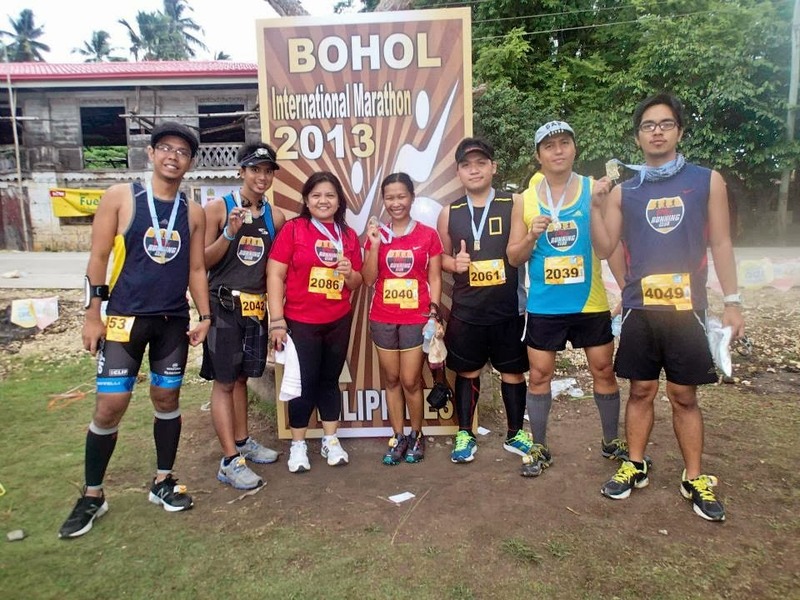 Bohol International Marathon was held last August 25, 2013 at Panglao, Bohol. 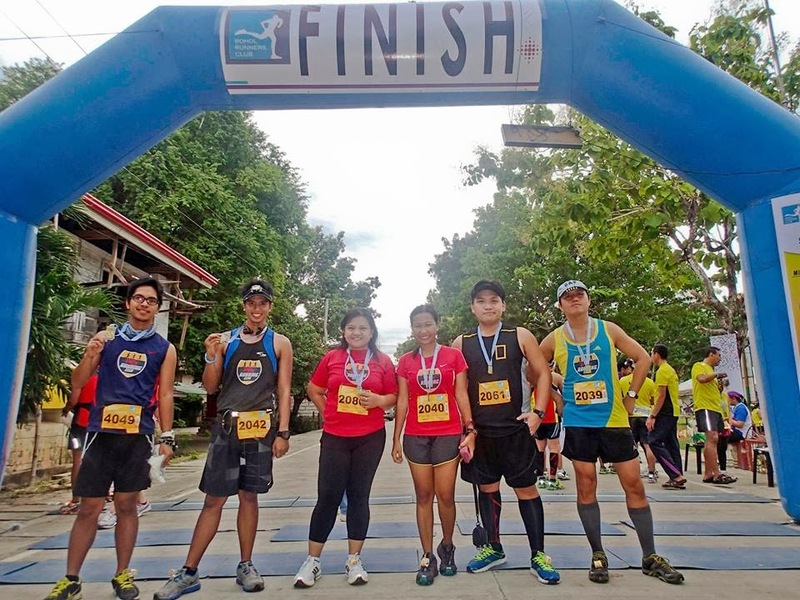 We heard great things about this event so I, together with members of Pex Running Club, flew to Bohol and joined the half-marathon. I was still training for RUPM when I attended this run and I made this run my 21km LSD. 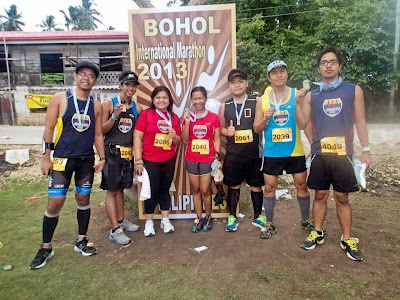 In terms of travel, I had been to Bohol before so this domestic flight was mainly to join the running event and to show first timers Emy and CJ parts of this island. Our flight was mid day on Saturday so we had little time to roam. We, basically, claimed our race kits then we were off to rest in our hotel. We had to walk around 800m to find the nearest restaurant with very little food. We made do with the best that was available and enjoyed our dinner. 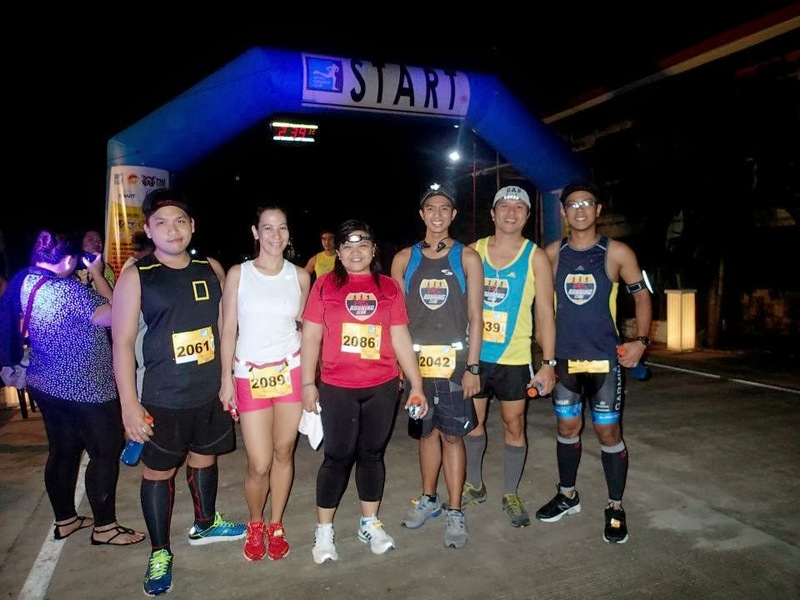 The gunstart for this race was 3:00 am and since the venue is almost a kilometer away. We left at around 2:30am. When most of us arrived at the venue, Kenyans who joined the marathon category were already finishing. Their time would almost be less than 3:30. For this race, I didn't expect to finish at my usual time since we were expecting to finish together. Since this race is Cath's second 21k and Emy's first I aimed to pace with them all 13 miles just before the cutoff which is 4 hours. I wanted to do 2-1 galloway run walk but it seems to be too much for Emy who had no training at all so we switched to 1-1 after the 1st kilometer. Since we were at the back of the pack, we made it a point to take photos at the markers. 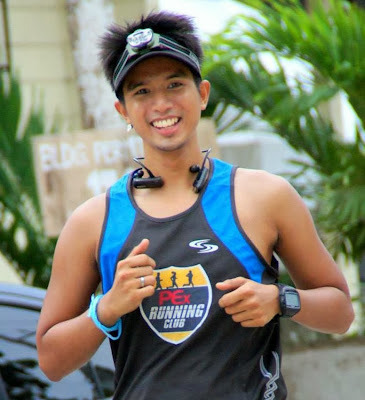 At around the 5th kilometer, we caught CJ walking and he joined are run walk group. After the first hour, they gave up on the run walk strategy and decided to walk until the course became flat or downhill. Along the route, a water station offered banana cake, which was a first for me. We continued walking with very little running until the turn around point which was way too far. I continually attempt to cheer them to run even in the times that there is a downhill road. Some of the time, I succeeded but they ignored me most of the time. At the 18th kilometer, we were walking too long and it was almost 3 hours and 30 minutes. 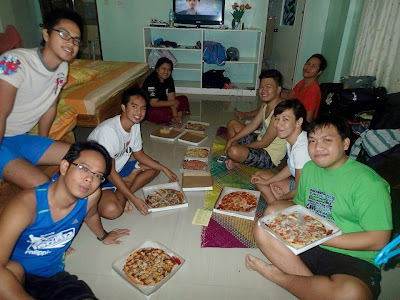 CJ were making different kinds of motivation such as "Ayan, unahan mo si ate tapos irapan mo..." It was almost morning and we were getting hungry so when we found the food booth. We had eggs and hotdog then continued to the last few kilometers. The route seemed longer than it should be and it was as it had an extra kilometer. Somehow, we finally made it to the finished line. Cath, CJ, Emy and I crossed the finished line together at 3:48. PR! Slowest half marathon ever! We took photos at the finish line and claimed our light breakfast at the activity area. We then walked an additional 1km to our hotel and slept a little before having brunch. 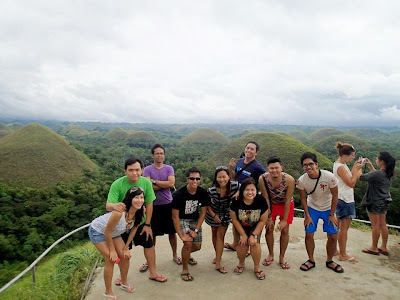 Afterwhich, we toured Bohol. We had to show CJ and Emy the chocolate hills and the famous heritage churches of the island. The race route was brutal. The more than 21km course was all cement (so our poor, poor feet). The run was held in an open road. We had to steer clear a few cars and trucks. The run was done in the wee hours of dawn so there were few cars but in my impression they didn't close the roads at all. In turn, the race route endangered the runners. I guess making the run schedule at dawn lessened the danger. Also, headlamps were also necessary as they had very little light on the course. The food (banana cake, mini breakfast combo - hotdog and egg) was a different experience. 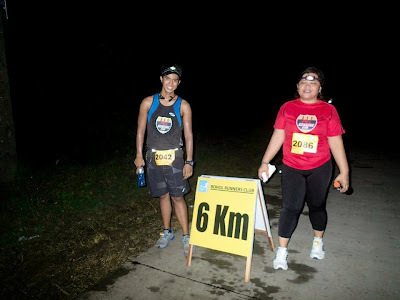 Marshalls were placed in some places in the race routes but there were times where we were running on our own. It may be an international marathon but its caliber isn't as expected. But since the turn out is small. The insufficient support was acceptable. 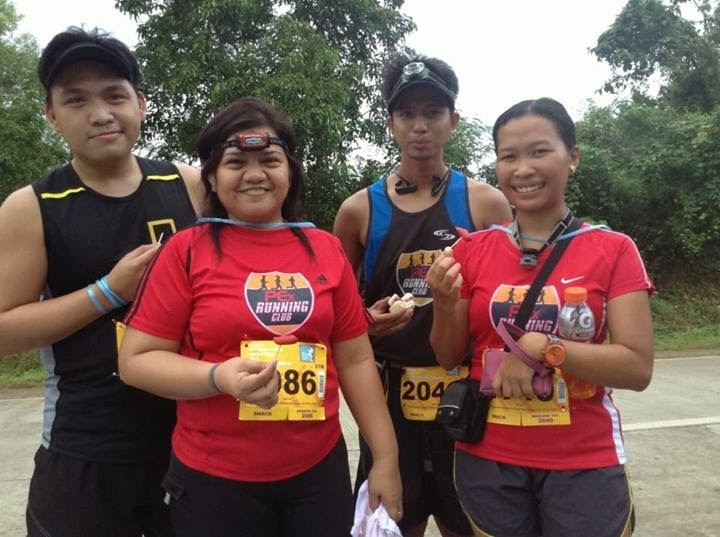 Given the price of the registration fee, the medal was too small. But I like the small medal. It is simpler and easier to display since I have enough of the big medals from other runs. I recommend this event to runners who are getting bored with the same Manila-BGC-Pasay-Paranaque route as it would be a different experience. 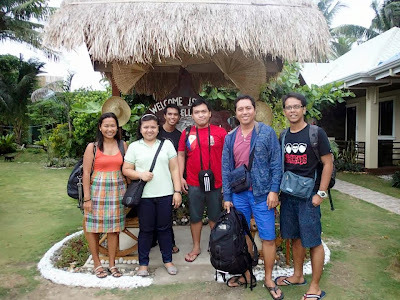 I think conducting programs like this and inviting people to join where Bohol is the venue would attract tourists back again to visit the place.